For the first time in what feels like forever, the heating has been whacked on, and the cashmere sweaters have been unpacked from storage. It can only mean one this – autumn is truly here, and for dry-skinned girls like myself, it’s time to up the hydration stakes! 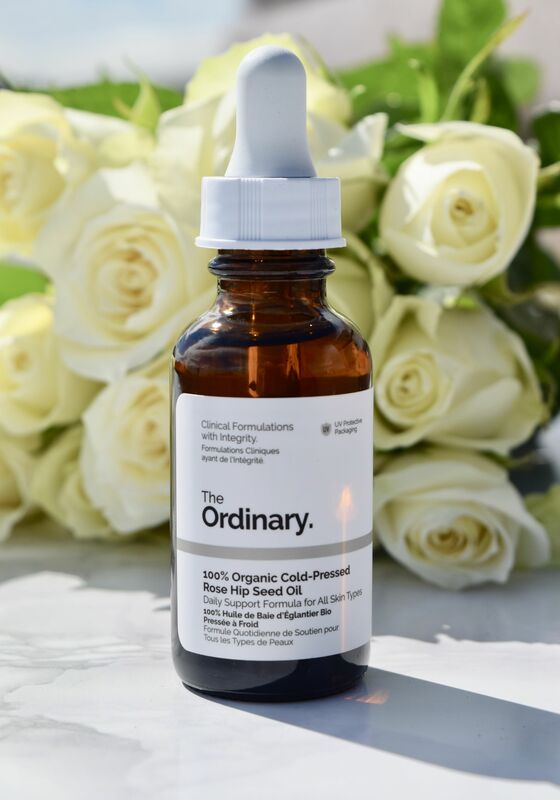 Over the past few months, I’ve been giving some of The Ordinary’s line up a go, and if you’re looking for a quick moisture-boost, their 100% Organic Cold Pressed Rose Hip Seed Oil is for you. Packaged in the brand’s signature low-key bottles, it looks more like something you’d find in a chemist than a department store, but the emphasis is on ingredients with The Ordinary, and their products are significantly cheaper than higher-end alternatives. As someone who suffers from dry skin that’s prone to redness, I’d heard great things about Rose Hip Oil. It’s said it tackles fine lines, deeply hydrates and encourages cell regeneration, so I was super-keen to give it a go. I’ve been using it nightly, sometimes after dermal rolling, sometimes after cleansing, and I’ve been really pleased with the results. Thanks to it being 100% cold pressed, the oil feels rich, and silky to apply. The slightly heavier consistency is exactly what my skin needs at this time of year, and the mornings after I apply, my skin still feels plump and hydrated with a healthy dose of ‘glow’. It’s also a perfect oil to use if you’re looking to sheer-out a too heavy foundation. 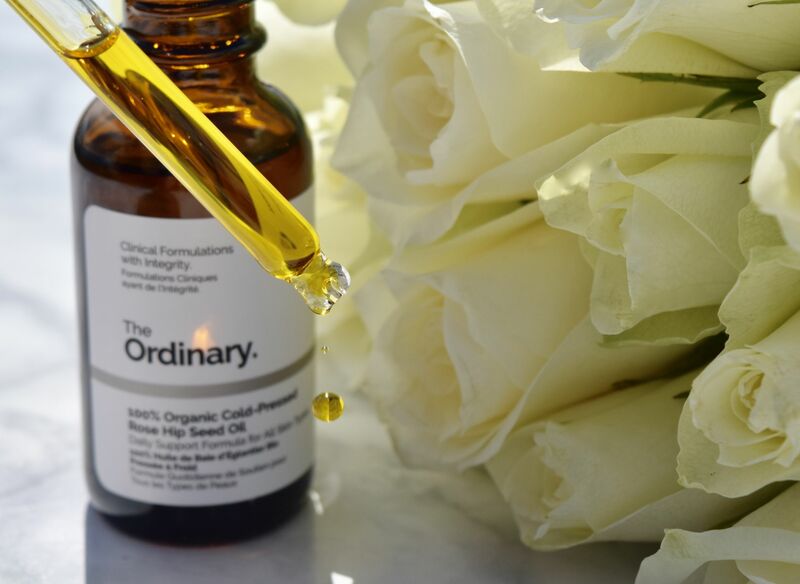 A single drop will leave skin glowing as well as feeling amazing! 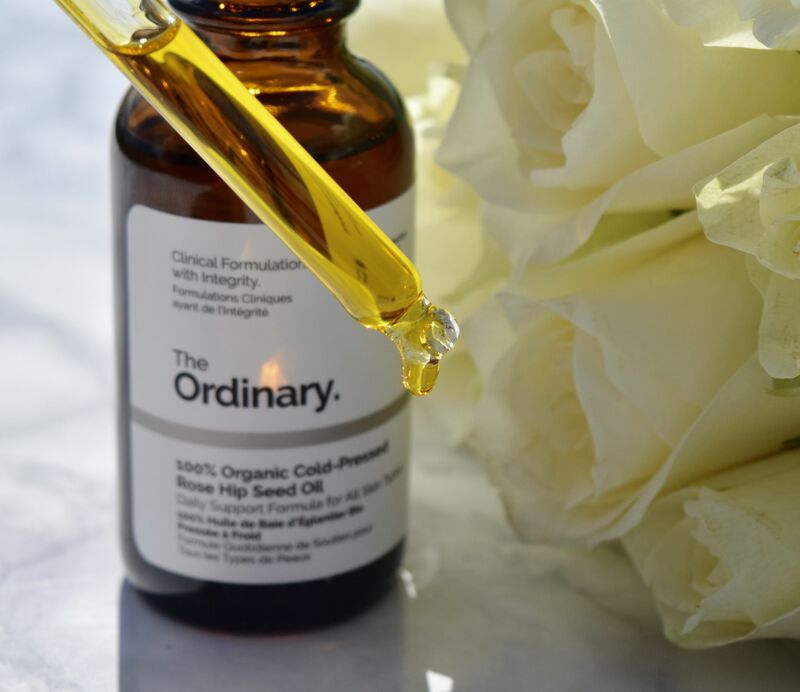 The Ordinary 100% Organic Cold Pressed Rose Hip Seed Oil is priced at £9 and is available here.